We’re a few weeks late on this holiday post, but Happy Rosh Hashanah! 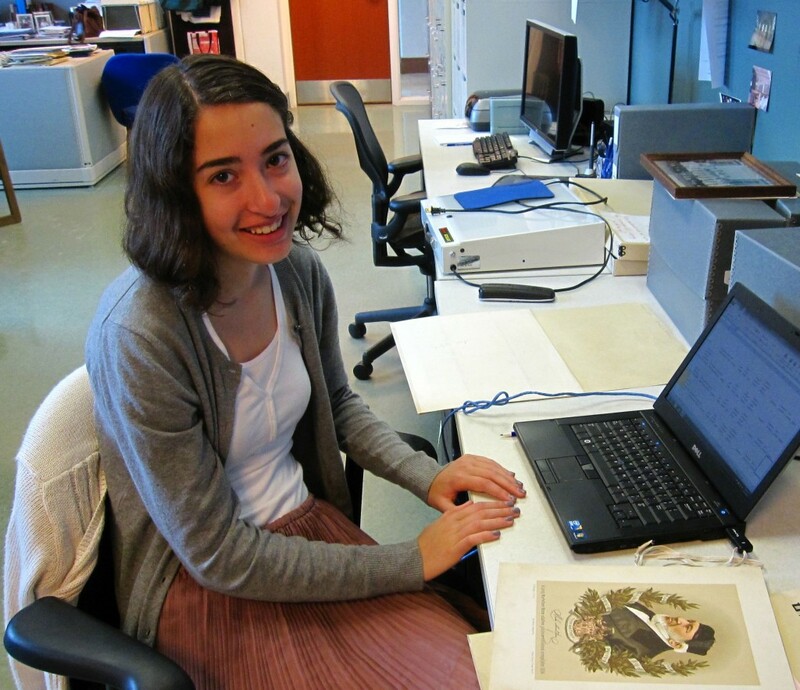 To celebrate, Gillian Rogers (our newest intern) has been digitizing and creating metadata for not one, but two of Rosenthall’s New Years postcard albums. Gillian is a senior majoring in history at the College of College of Charleston. Below are a few of her favorite postcards from the collection. I’m pleased to announce the finding aid for the William A. Rosenthall papers has been encoded and is now available online. The Lowcountry Digital Library is currently developing a new open source digital repository that will be launched in early 2012. The good news is this new repository will be much more dynamic and user-friendly than the current content management system used by LDL. The bad news is we are not able to upload additional content until the new system is up and running. However, we are still moving forward with scanning, metadata, and rehousing efforts. I will continue to post selected images from the new scanned portfolios. Recently, we finished up a portfolio of images depicting Jewish ceremonies and customs, such as weddings, circumcisions, burials, and prayer. The following is a sampling of our favorites. 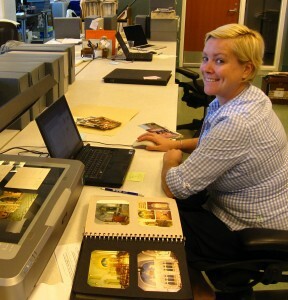 Over 300 images were uploaded to the Lowcountry Digital Library earlier this week. Approximately 80 images from Rosenthall’s “Jewish caricatures” portfolio were added to the prints and photographs digital collection. Many of these images play upon Jewish stereotypes and illustrate anti-Semitic beliefs. College of Charleston student Cameron Moon scanned, rehoused, and created metadata for this portfolio. One of her favorite items is the hand-drawn illustration below, which stood out among the printed images that make up the majority of Rosenthall’s collection. Additionally, over 200 images of Jewish cemeteries, tombs, and monuments were uploaded to the postcards digital collection. The “A Synagogue A Day” Tumblr has been launched! It’s been a busy summer at JHC, and we’ve been trucking along with the Rosenthall digitization and rehousing project. So busy, in fact, that I haven’t had time to introduce our latest intern–-Rebecca Zola. Rebecca will be a senior this fall at Lexington High School in Lexington, Massachusetts. 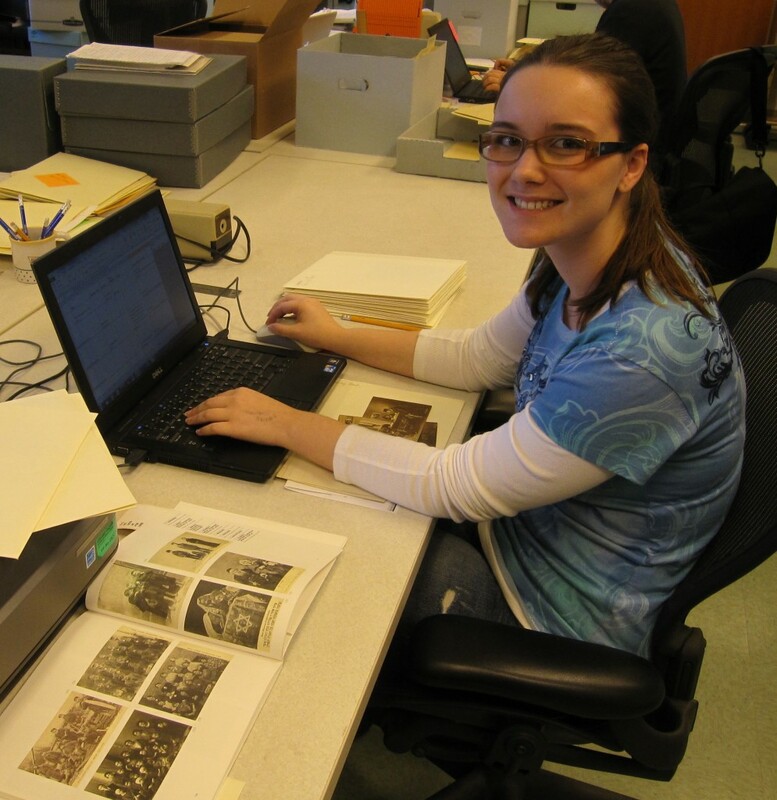 She spent the summer visiting family in Charleston and joined the Rosenthall project in July. We were happy to take advantage of her fluency in Hebrew and knowledge of Jewish customs. 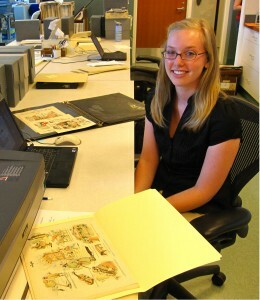 Rebecca scanned, rehoused, and created metadata for over 200 images, including portraits, sheet music, and maps. The sheet music is particularly interesting as some of the cover images and lyrics play heavily on anti-Semitic stereotypes. The images were uploaded to the Rosenthall prints and photograph digital collection earlier this week. Rebecca pointed out the similarity between this print of Herzl and the Obama “Hope” poster. Both images have a “screen print-y”* style. *For the record, I have never taken an art course. The recent upload includes portraits of rabbis and other notable Jewish individuals. JHC’s favorite is the print of English boxing champion Daniel Mendoza’s (“Mendoza the Jew”) 1790 match with Richard Humphries. Its wonderful caption reads, “The Manner in Which Mendoza Caught Humphries Twice, and Generously laid him down without taking the advantage of his situation.” This “generous” treatment is likely due to the fact that Humphries was Mendoza’s former mentor. Not only was Mendoza reputed to have been the first Jew to talk to England’s King George III; he also revolutionized competitive boxing. Typical fighters of this period simply stood still and traded punches. However, Mendoza incorporated defensive strategies such as sidestepping and ducking, which were outlined in his book The Modern Art of Boxing. Mendoza was England’s Heavyweight Champion from 1792-1795 and is the only middleweight (5’7”, 160 pounds) to ever win the Heavyweight Championship of the World. In 1981, he was inducted into the International Jewish Sports Hall of Fame and in 1990, inducted into the International Boxing Hall of Fame. More information on Mendoza here. Lowcountry Digital Library staff has also added advanced browsing features to the collections’ homepages: by geographic location (city, country, continent) and subject (synagogues, monuments, cemeteries, etc.). 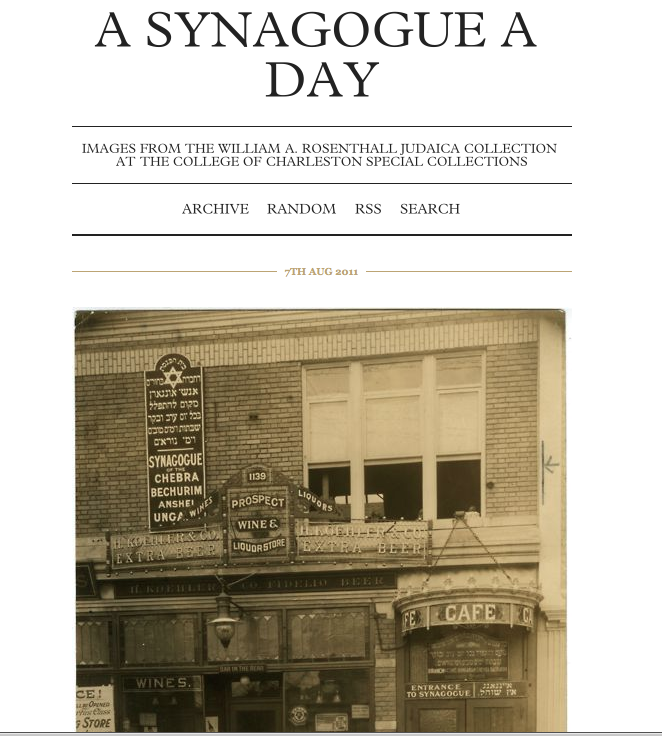 Over 500 postcards of synagogues and monuments were uploaded last week, mostly from Western Europe and the United States. Included are postcards depicting ruins of synagogues destroyed during World War I and scenes from the Great San Francisco Earthquake of 1906 and resulting fire. June brought us great beach weather, the Spoleto Festival, and two new interns. We are happy to have Cameron Moon and Colleen OConnor join our project. Cameron finished her junior year at the College of Charleston this spring and is majoring in Historic Preservation and Community Planning. Her first assignment is to digitize a portfolio of cartoons and caricatures. Colleen recently started the Master of Library and Information Science program at the University of South Carolina. She received her BA from the College of Charleston in Historic Preservation and Community Planning. Colleen is currently digitizing a portfolio of synagogue postcards from Israel, Africa, Canada, and the West Indies. 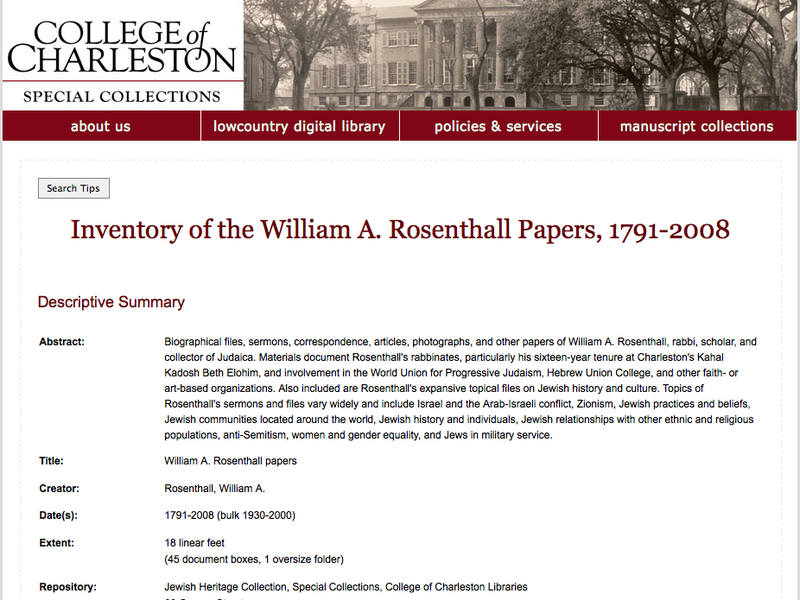 In other news, I have been working with Heather Gilbert, the Acting Project Coordinator of the Lowcountry Digital Library, on making some changes to the William A. Rosenthall Judaica digital collection. We hope to have the updates finished in the next few weeks.